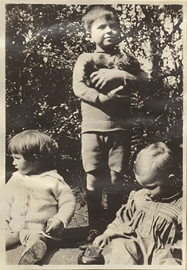 Donald Blencowe, Wilder Penfield II and John Rishbeth, photograph. 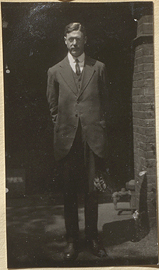 Doorway at Kenilworth Castle, photograph. 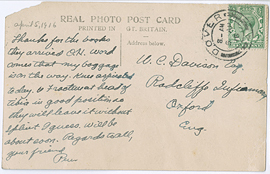 Dover Castle from Deal Road, postcard (back). 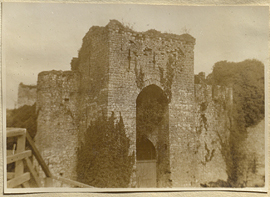 Dover Castle from Deal Road, postcard (front). 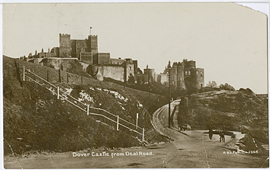 Dover Castle from Deal Road, postcard. 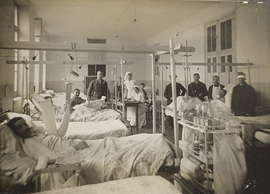 Dr. Allen M. Yeates standing in his ward with staff and patients, photograph. 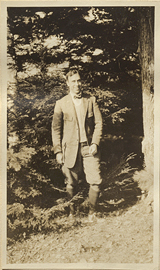 Dr. Charles Samuel Penfield, photograph (back). 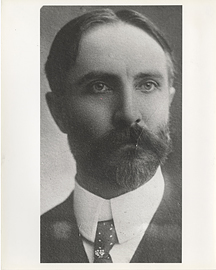 Dr. Charles Samuel Penfield, photograph (front). 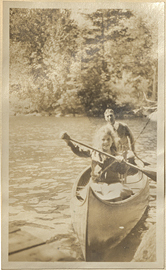 Dr. Francis Cooley Hall and Vickery Hall in a canoe, photograph. 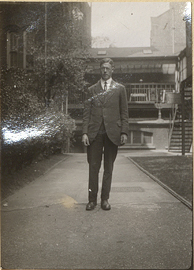 Dr. Francis Cooley Hall, photograph. 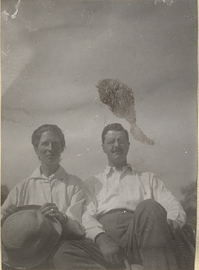 Dr. Gordon Holmes, Mrs. Holmes, photograph. 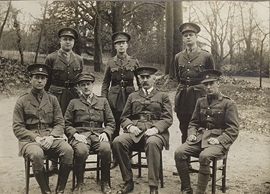 Dr. Joseph A. Blake and his medical staff from V.R. 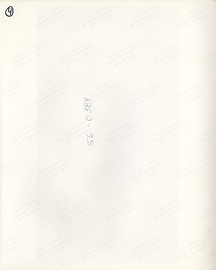 76, photograph. 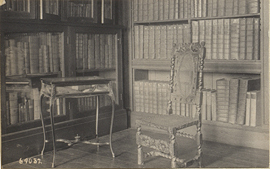 Dr. Samuel Johnson's chair, postcard.